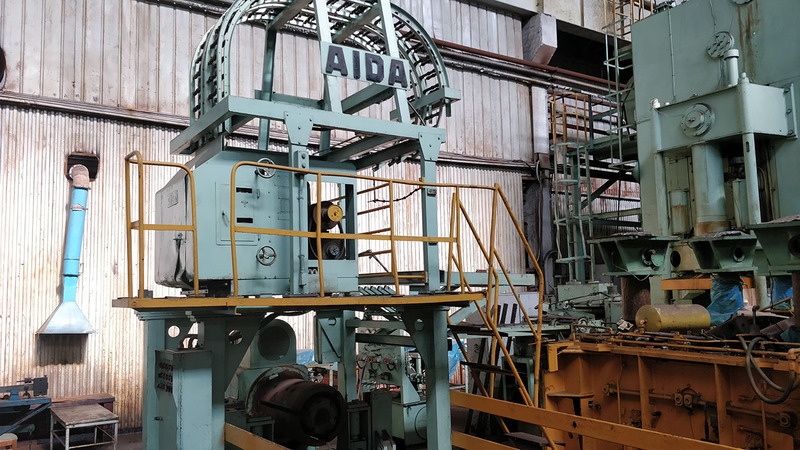 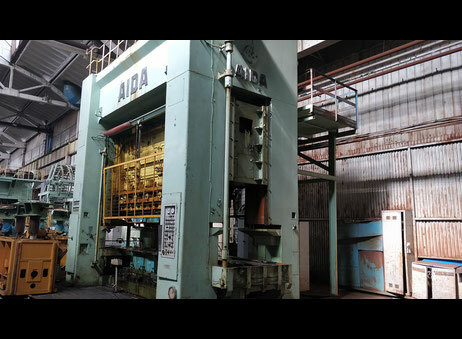 Press “AIDA”, Japan, model FT2-40, manufactured in 1974. Force between the posts – 400 ton. 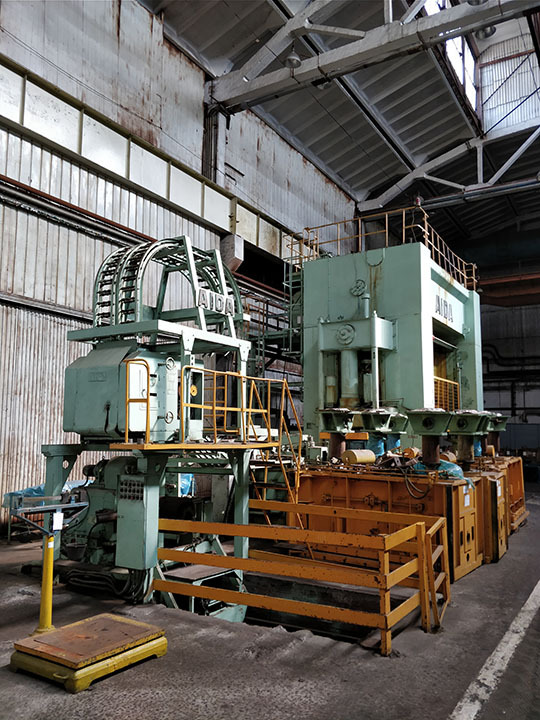 Maximum force on each operation – 150 ton. Number of slider strokes 8-12 , length of stroke – 800 mm. 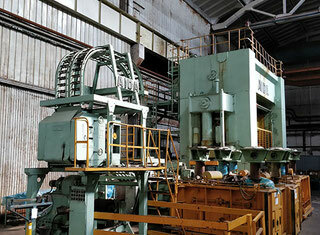 Dimensions of die holder: 690 х 1150 mm. 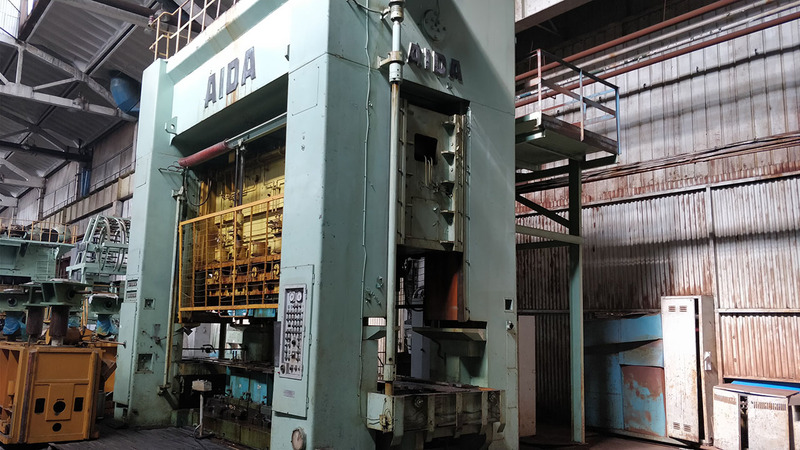 Height of press – 7400 mm (max). 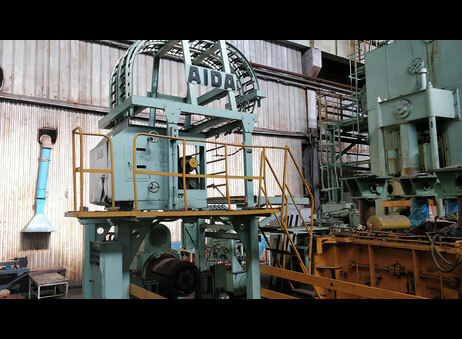 Power of main electric motor – 110 kW. Power supply – 380 V.
Operating air pressure – 5 kg/cm2.